The List: Unlikely Supercross Champions April 24, 2019 Cooper Webb’s career rejuvenation has surprised, but is it the most surprising ever? Injury Report: Denver April 11, 2019 Who’s in and who’s out in the Mile High City. Injury Report: Nashville April 4, 2019 Who’s in and who’s out in the Music City. Injury Report: Houston March 28, 2019 Who’s in and who’s out in the Lone Star State. Injury Report: Seattle March 21, 2019 Who’s in and who’s out for round 12. Injury Report: Atlanta February 28, 2019 Seely in, Barcia out for round nine in Atlanta. Injury Report: Detroit February 21, 2019 Who’s in and who’s out in round eight in the Motor City. Injury Report: Arlington February 14, 2019 Osborne to make his 450SX debut, Craig will be out for round seven in Arlington. Injury Report: Minneapolis February 7, 2019 Who’s in and who’s out for round six. Between the Motos: Aldon Baker February 6, 2019 The sport’s most successful trainer ever talks about working with Cooper Webb—who has been off to the best start of his 450 career—Jason Anderson, Marvin Musquin, and more. 450 Words: Anderson Speaks February 4, 2019 A status update on the 2018 450SX champion. Injury Report: San Diego January 31, 2019 Who’s in and who’s out for round five. Injury Report: Oakland January 24, 2019 Anderson out, Bisceglia in, for round four. 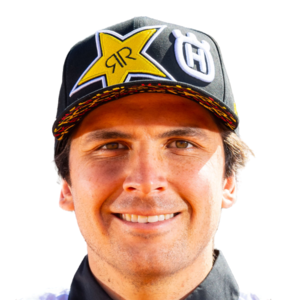 Jason Anderson Injured in Practice Crash [Update] January 22, 2019 He is expected to miss at least eight weeks. His return to racing will be determined at a later date. Breakdown: Anaheim 2 January 22, 2019 Jason Thomas gives us his insight on the first Triple Crown event of the season, the A2 track, and more.